"A mans word is his honour. It's the only thing he truly owns"
How long does your promises last? A day? A week? A year? In 1996 I made a promise to myself and to others whom I didn't even know. I knew from that moment that it was my honour at stake and I had no choice but to full fill that promise. After all, it was my word and dedication to that word that indicated who I was as a person. 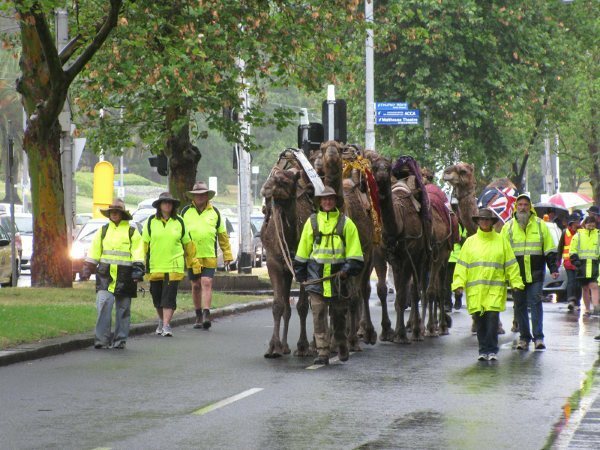 Thirteen years later, My wife to be and I walked eight camels that we had trained from the wild, through Melbourne's CBD with a gathering of supporters. We had walked 6500kms through some of the harshest environments on planet earth with our eight pack camels right to the Royal Children's Hospital in Melbourne City, in support of an amazing organisation, the Children First Foundation, whom were at the time attending to the successful separation of conjoined twins, Trishna and Krishna. Here, we met Moira Kelly, the twins Australian Guardian, and thanked her for having spent a lifetime of changing and saving children's lives. The effect the journey had on me has arisen to the creation of a second transcontinental Camel Expedition from Perth to Sydney in 2013. I now present a keynote presentation, using examples of my own personal achievements and shortcomings, to encourage participants to live their dreams, have a full life of experiences and to be honorable to themselves and others. Whether it be in business, personal relationships or socially, honour is the true mark of a person. Having completed two Wild Camel Handling Courses with Phil Gee, I further spent two years with Phil gaining his knowledge and skills with camel trekking, mustering wild camels, yarding wild camels, selection of wild camels for training and trucking, training camels for expedition work and preparation for a two year trans-continental camel expedition across some of the harshest desert environments on the planet. 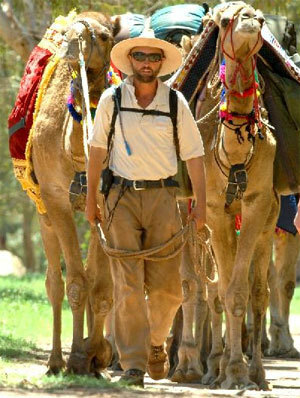 A large part of the education process gained with Phil involved understanding the camel and the methods used for developing trust with the animals. Making equipment for expedition work, gaining high level navigation skills and remote electronic equipment management for isolated conditions was also a major component of skills and knowledge gained. Certificate in Teaching English As A Foreign Language.